Once upon a time there was an online social network called Facebook, and it brought together people from all over the globe, helping them to reignite romances, launch careers, and even find organ donors. 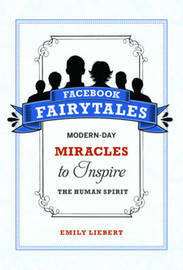 Facebook Fairytales brings to light inspirational "happy endings" stemming from the increasingly popular social-networking site. Author Emily Liebert crafts captivating narratives of real-life stories from interviews with Facebook users who have used the site's many applications to find biological parents, relay messages to loved ones during the Mumbai terrorist attacks, donate money to Chinese orphanages, and try to hunt down a hit-and-run criminal. Readers will relate to these tales and, simultaneously, be charmed by the little spark of magic that sets them apart from your everyday success stories. Liebert also interviews and shares the story of Chris Hughes, Facebook cofounder who worked on the Obama new-media campaign, revolutionizing the use of social-networking sites as a political tool. 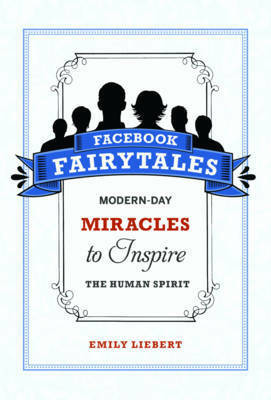 Complete with an introductory interview with Facebook founder and CEO, Mark Zuckerberg, Facebook Fairytales is a collection of tales that will inspire you to seek out your "happily ever after" on the world's most popular social-networking site--and maybe find Prince Charming along the way.